When you hop in the shower, you expect hot, steaming water. If that’s not what you’re getting, it could be time to replace your water heater. 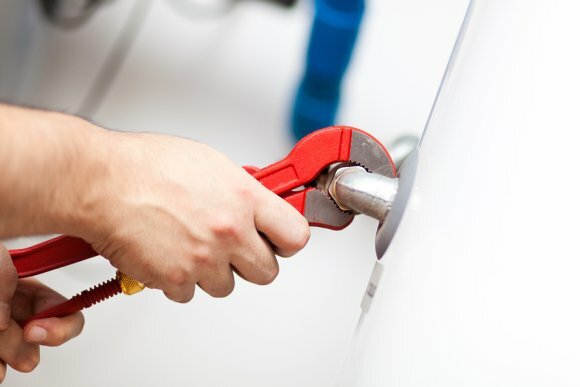 Though it may seem like an ordeal, replacing your hot water heater isn’t so bad as long as you work with a highly skilled water heater installation team near Murfreesboro. Before you get ahead of yourself, you should make sure that your water heater actually needs to be replaced. Generally speaking, traditional tank water heaters last between 8 and 12 years. However, there are a number of factors that could shorten or lengthen a water heater’s lifespan. If your water heater is more than 10 years old and shows signs of leakage or malfunction, it may be time to replace it. It’s important that you call a water heater installation professional before you do anything else, as your water heater problems could be caused by a tripped breaker or another simple issue. To increase the lifespan of your water heater, consider signing up for a maintenance plan with Murfreesboro water heater experts. The average homeowner needs to keep track of a hundred little details at once. Are the gutters clear? Is the roof in good shape? How’s the sewer line? The list goes on and on. 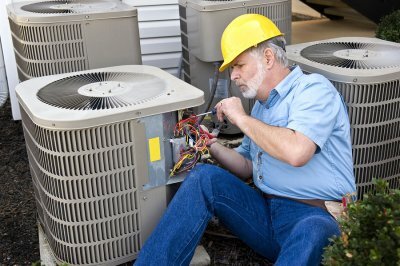 One of the most important issues to consider is air conditioner maintenance. Once a year, it’s important to have an air conditioner maintenance team near Murfreesboro thoroughly inspect your air conditioner and address any issues before they get out of hand. At the very least, it’s a good idea to replace your air conditioner filter once every three months or so. Your air conditioner’s main job is to make sure you and your family are comfortable during the summer months. If you neglect your air conditioner to the point where its basic function is seriously compromised, then your air conditioner may as well be just another piece of furniture. Staying on top of air conditioner maintenance won’t just keep your home cool during the dog days of summer, but it will reduce humidity and harmful airborne particles as well. 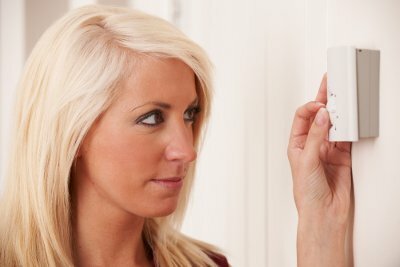 Many families dread opening their energy bills during the summer. That’s because round-the-clock cooling accounts for a huge portion of total energy costs. Fortunately, there’s an easy way to bring those costs way down: keep up with regular air conditioner maintenance. Simply switching out the air filter and summoning an AC maintenance professional once a year can keep your system operating at optimum capacity. Together with a programmable thermostat, a well-maintained air conditioner can save you hundreds. As with any other major home appliance, you want to make sure your air conditioner lasts as long as possible. Keeping your air conditioner in tip-top shape will delay the hassle and expense of a system replacement. You should get at least 10 years out of your air conditioner, and a Murfreesboro air conditioner technician can help you get there. For maximum convenience and savings, consider signing up for an AC maintenance plan. Like most homeowners, you’re probably so preoccupied with work and family that you let certain things fall through the cracks. For example, it’s easy to forget that your air conditioner requires regular maintenance in order to perform at peak efficiency. If you can’t remember the last time you scheduled an air conditioner checkup, consider reaching out to an HVAC company in Murfreesboro . In this video, Angie Hicks from Angie’s List discusses the importance of regular HVAC maintenance. For every year you forgo professional maintenance, your air conditioner loses 5% efficiency. This can lead to high humidity, high energy bills, and less comfort during the summer months. In addition to scheduling annual maintenance, it’s important that you change your air conditioner’s filter once every few months to help maintain efficiency. It’s easy to lose track of how much energy you use on a daily basis. This is especially true when it comes to cooling, as it consumes energy constantly as you and your family try to stay cool during the summer. Considering how your air conditioner can account for as much as half of your total energy consumption, boosting your system’s efficiency is a must. For tips on how to keep your system as efficient as possible, read below and reach out to air conditioning experts near Murfreesboro . If you have central air, you’ll find a programmable thermostat to be an excellent efficiency ally. With a programmable thermostat, you can have your system automatically lower the temperature when you’re out of the house, thus reducing the amount of unnecessary cooling. If you don’t have central air, consider turning the temperature on your AC unit down when you leave the house or go to bed. Constant air movement is an important part of air conditioning efficiency. You want the cool air to occupy as much habitable space as possible before it has a chance to escape. To keep your indoor spaces cool and comfortable, consider augmenting your AC with ceiling fans and other fans throughout your home. Once your air conditioner brings cool air into your home, you want to do everything you can to keep it inside. The more air that escapes, the harder your air conditioner will need to operate in order to maintain the same cool temperature. Consider installing weatherstripping around your old windows and doors to keep warm air out and cool air in. A dirty filter or a blocked condenser can seriously compromise your air conditioner’s efficiency. If you don’t do anything about it, these problems could cause your system to fail. Hiring air conditioner experts in Murfreesboro to maintain your air conditioner is the best way to boost efficiency and bring your energy costs to within a reasonable range.